The battle between Ricciardo and Hulkenberg as teammates next year is going to be fascinating. Seeing how the Hulk gets on against a proven driver like Ricciardo will give an insight into just how good he is. If it’s close, expect fireworks - although hopefully not to the extent of the 2015 US GP. 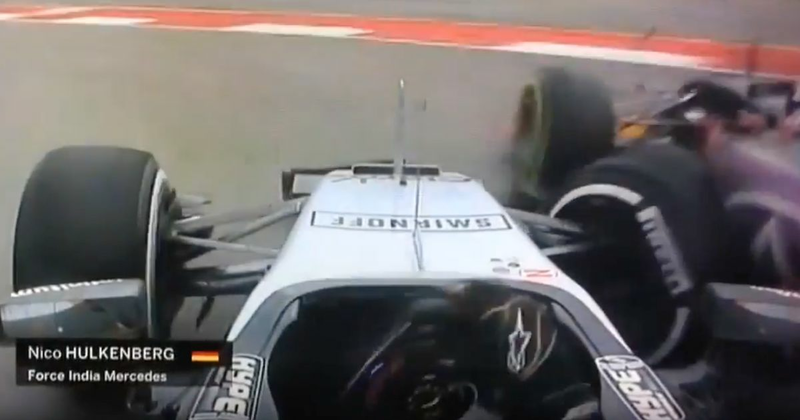 Then driving for Force India, Hulkenberg made a move on the Aussie to try and take fifth place, but then this happened. It looks clumsy, but it wasn’t - it turns out Hulkenberg’s front wing failed mid-overtake, causing him to understeer into the Red Bull. It put him out immediately, whilst Ricciardo slipped back to 10th. Front wing failure or not, any contact between the two now could cause a lot more problems. Then again, given some of the moments with Max Verstappen in the last few years, at least Danny Ric will be used to it.